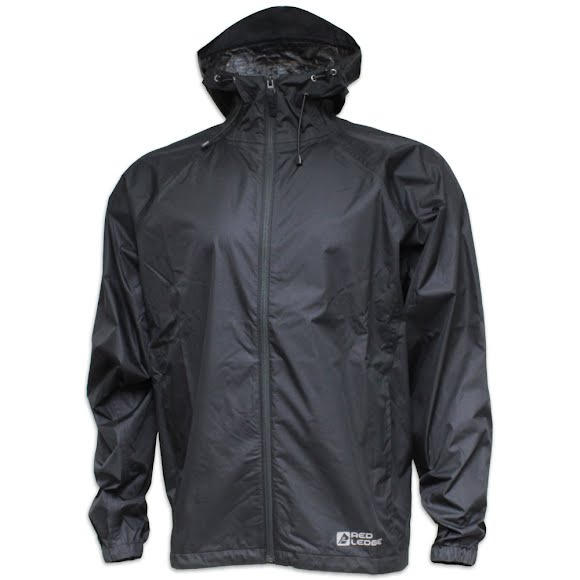 The Men's Stowlite Rain Jacket from Red Ledge features T-Core® waterproof coating. An attached hood, elasticized cuffs and adjustable hem help keep you dry in the wettest conditions. The Men&apos;s Stowlite Rain Jacket from Red Ledge features T-Core® waterproof coating. An attached hood, elasticized cuffs and adjustable hem help keep you dry in the wettest conditions. An application of seam tape or seam-sealing glue along a garment&apos;s stitch line. Seam welding replaces the need for a stitched seam. This process prevents water from entering the garment.